In London today, Wileyfox, a tiny (CEO Nick Muir says it has 27 employees) British phone manufacturer, announced the Spark: a £89.99 ($120) phone that has razor-thin margins. 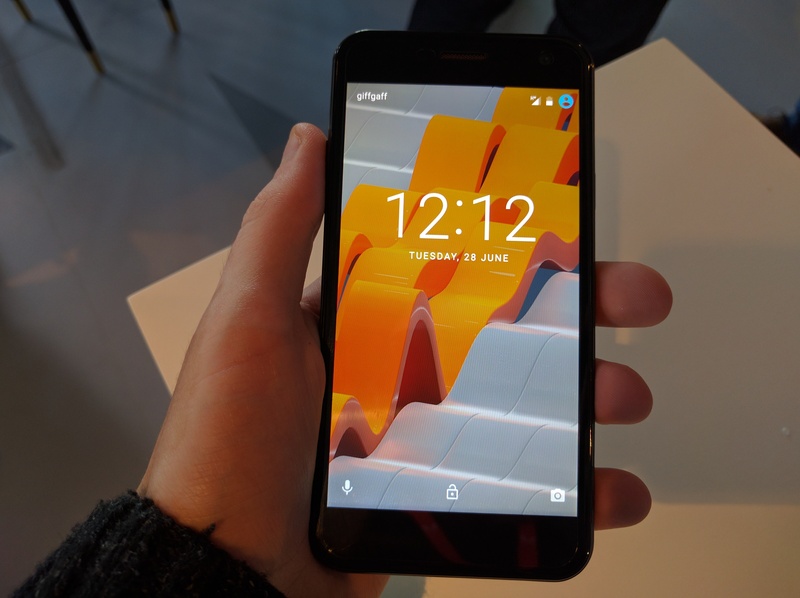 Specs include a 1.3GHz MediaTek processor, 1GB RAM, and one 8-megapixel camera on each side. When I first picked this phone up, all I thought was "for £89.99, damn that is nice." It makes you wonder how Wileyfox does it; its previous phone, the Swift, was similarly received with exclamations of "how?!" when it launched for £129.99. Onto the phone: it's very light, weighing only 136g. The screen, an IPS 5-inch display, seems to be bright and responsive, and the buttons are clicky. On the left side are the volume buttons, with the usual one piece of a plastic in two-button format. 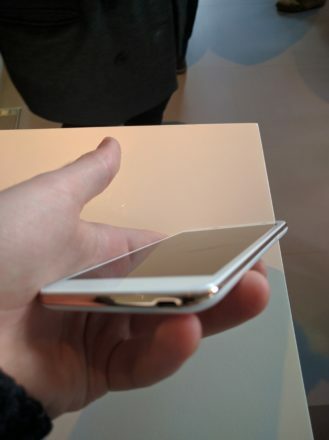 On the right is the power button, which feels a little inset into the side of the phone. The top has a headphone jack (cue wars over which end is better) and the bottom has the microUSB port, which, curiously enough, is over on the right hand side. Removing the back cover to access the microSD slot, the dual SIM slots, and the battery, is easy, with the back clicking off once you've got your fingernail suitably wedged underneath. 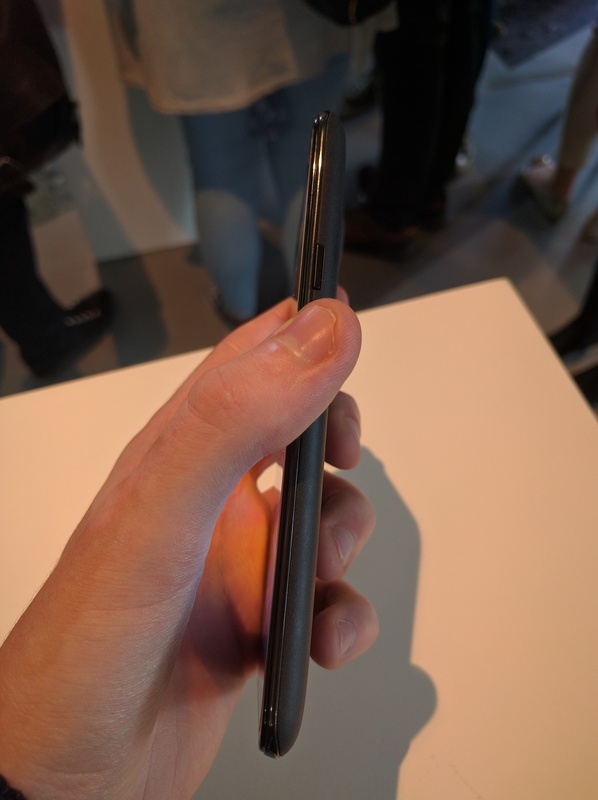 Going around the edge of the phone is a gold-plated band on the white model, or a black band on the black model; it reminds me of the chrome on the Nexus 4, which I liked although it did chip easily. 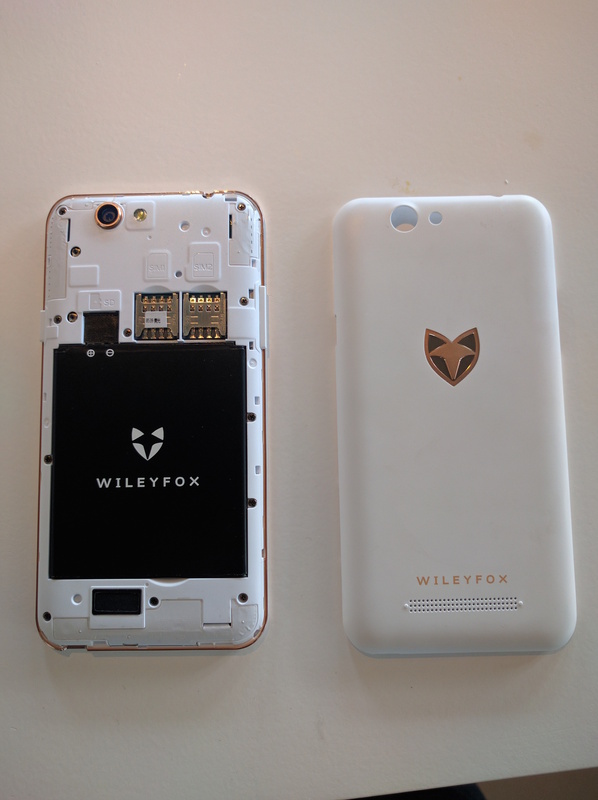 Talking of nice touches, the Wileyfox logo is slightly embossed, giving a nice bump when you run your finger over it, which is one of those small things that adds up for a really nice experience. On my model, the back has a sandstone texture, too. The front has a speaker up top, and the front-facing 8-megapixel camera. There's just one mono speaker here, with no bottom firing one like on other more premium handsets. In my quick tests, CyanogenOS 13 performed well, with no noticeable lag or stutter while I was fiddling about the homescreens or the app drawer. 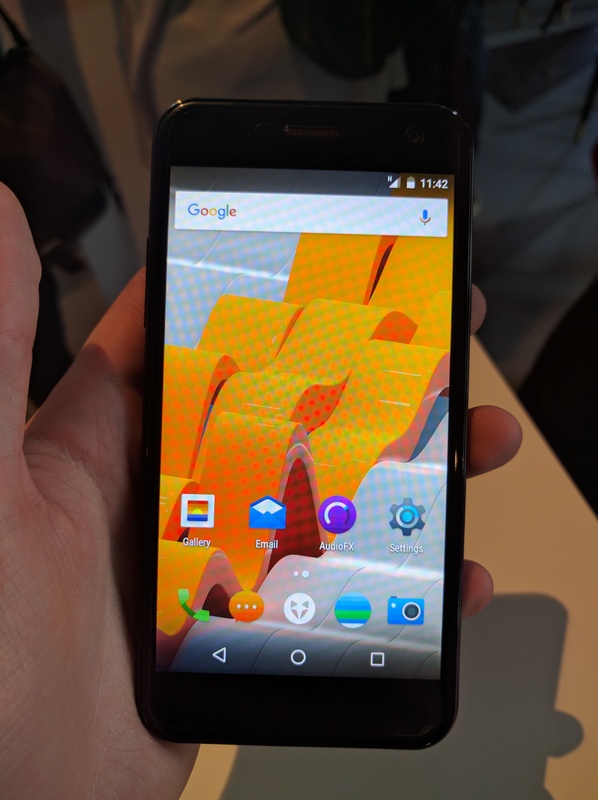 The OS has flashes of orange in places, such as the settings, and the Wileyfox logo is used to open the app drawer, which has apps separated alphabetically. For an £89.99 phone, this is astoundingly good. It remains to be seen if it lives up to this in day-to-day usage, but I'm optimistic it will. It definitely pleases me to see a phone making me genuinely happy, when much more expensive phones constantly disappoint me. We'll have a full review of this in the next couple weeks, so stay tuned for that.